Obituary for Jane L (Hartzel) Garrison | James L. Hinckley Jr. Funeral Home and Cremation Services Inc.
Jane L. Garrison, 71, of Berwick, passed away Thursday, July 26, 2018 surrounded by her family at home, after a long battle with cancer. She was born December 28, 1946 in Wilkes-Barre, daughter of the late Woodrow Wilson and Margaret (Hess) Hartzel. Jane graduated from Newport Township High School. She worked for thirty years at the Berwick School District as a Paraprofessional-- working with special needs and life skills students whom she cared for and loved. She was a member of Grace Lutheran Church, Berwick. She was a member of the Berwick Breakfast Book Club which distributed books to children to encourage a love of reading. 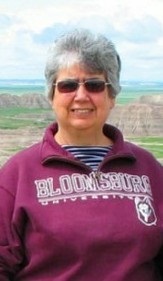 Jane and her husband supported the Bloomsburg University Football team. She enjoyed attending many games and athletic events, and had developed a fondness for many former players and coaching staff. Jane was an avid reader, enjoyed scrap booking weekends with her daughter Wendy, bird watching from her sun room, taking family trips and spending time with friends and family. In addition to her parents she was preceded in death by her son Scott L. Garrison in January 2016. Jane is survived by her husband Robert L. Garrison whom she married August 24, 1968, a daughter Wendy L. Garrison of Harrisburg, brother-in-law Jon Garrison and his wife Robin, and favorite niece, Shannon Garrison all of Nescopeck. Services will be Tuesday, July 31, 2018 at 11:00 at Grace Lutheran Church 1315 Fairview Ave. Berwick, PA 18603, with her Pastor Chad Hebrink officiating. Burial will be at Pine Grove Cemetery Walnut St. Berwick. The family will receive friends Monday from 6:00 pm until 8:00 pm at the church and Tuesday from 10:00 am until the time of service at the church. Family and friends may send condolences to www.jameslhinckleyjrfuneralhome.com. The James L. Hinckley Jr. Funeral Home and Cremation Services, Inc. 1024 North Market St. Berwick, PA 18603 are assisting the Garrison Family. 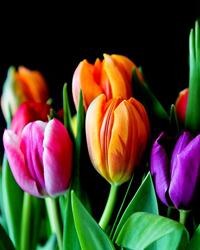 In lieu of flowers, contributions may be made to the Sea Turtle Hospital 100 Aquarium Wharf, Charleston, South Carolina, 29401 or the Berwick Area United Way 139 East 2nd Street, Berwick, PA 18603 specifically designated to the Berwick Breakfast Book Club.